What is the likely hood that this patient will loose her vision in the right eye. Will you treat her immediately (and if so with what) or order diagnostic tests (and if so what). This patient's is slightly atypical in the sense that she first developed a 4th CN palsy followed later by sudden loss of vision in the same eye in the absence typical clinical complaints (headache, temporal tenderness) with normal sed rate. The risk of her loosing vision in teh right eye is very high. The correct treatment is to start IV solumedrol (1 gram) x 3 days followed by oral steroids in the hope of preventing the right eye from going blind. Labs including biposy can be performed antime in teh first week. End-organ involvement relates to hyperplasia and occlusion of the arteries serving those organs. 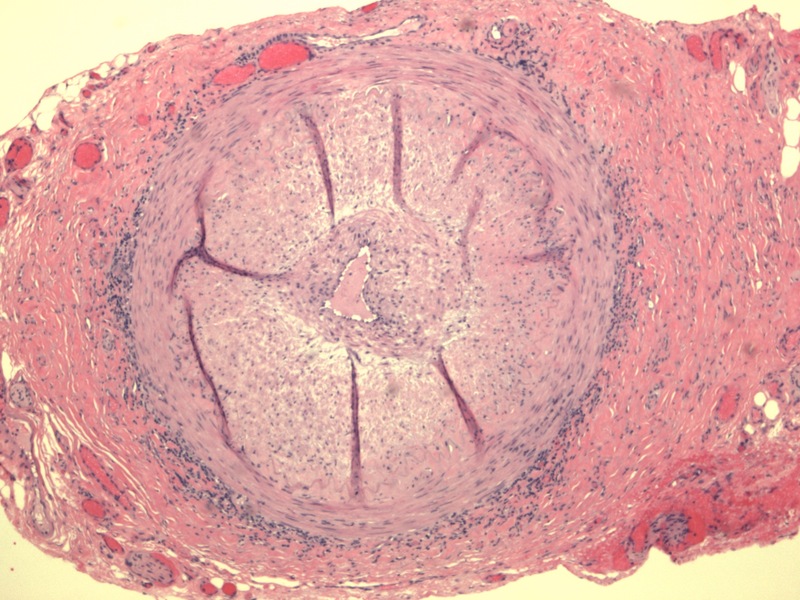 GCA does not cause a widespread intracranial cerebral vasculitis as they lack an internal elastic lamina. 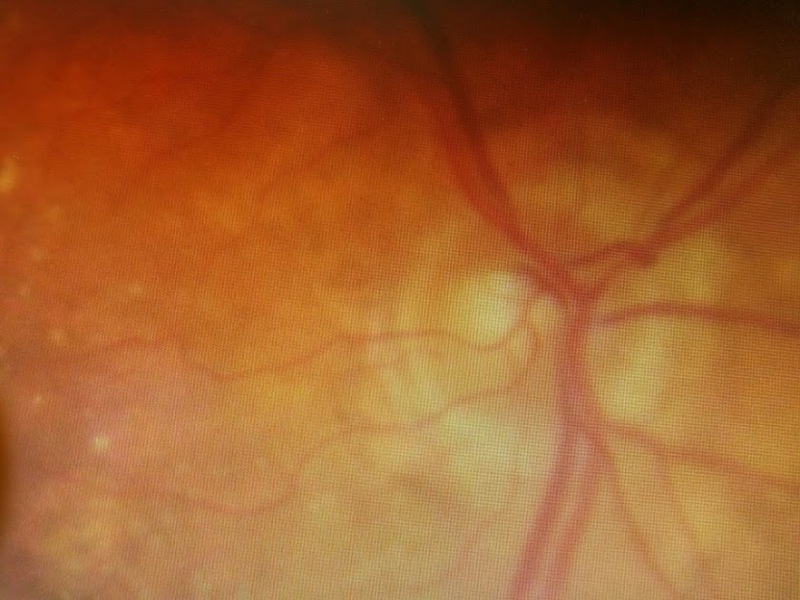 The most common cause of vision loss in GCA is anterior ischemic optic neuropathy (AION). This results from ischemia of the optic nerve head, which is supplied mainly by the posterior ciliary arteries. About half of persons with GCA have underlying polymyalgia rheumatica, and about 15% of individuals with polymyalgia rheumatica develop GCA. 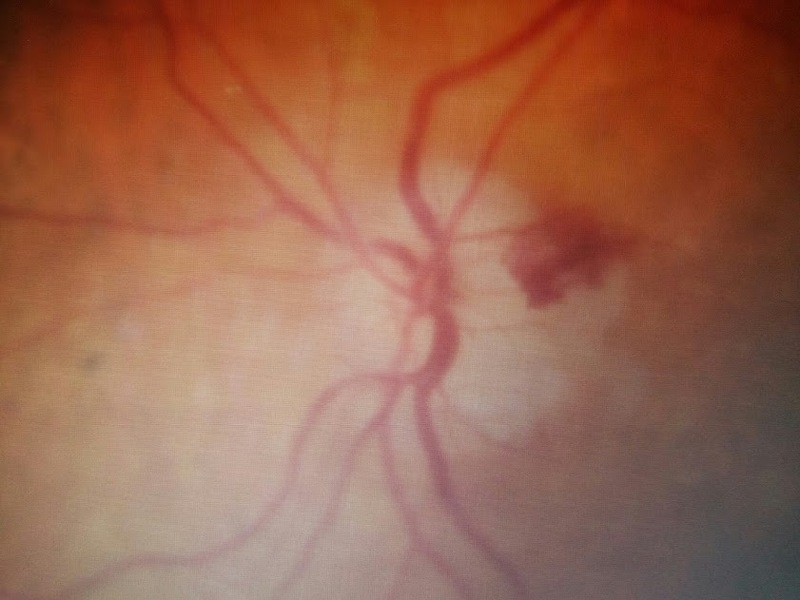 Blindness : painless and sudden loss of vision secondary to Ischemic optic neuritis with eventual optic atrophy is the most common cause of visual loss and occurs in 15% of patients. GCA is associated with increased risks for MI, stroke, and peripheral vascular disease.